Sand dunes on Mars are frequently found within craters, raising the question: do they form from sandy materials within the craters, or are they simply traps for dunes traveling in their path? 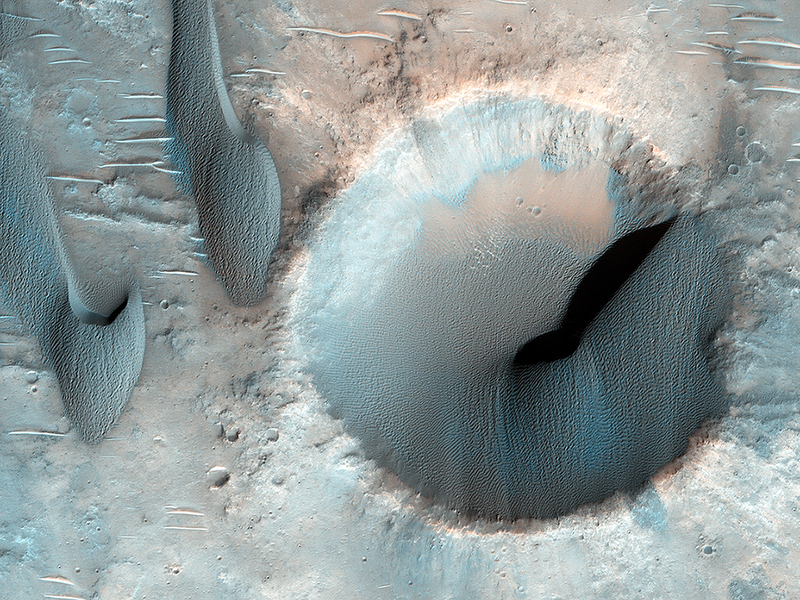 This image shows dozens of dark-toned dunes in and around several craters within the rugged terrain of Terra Cimmeria. 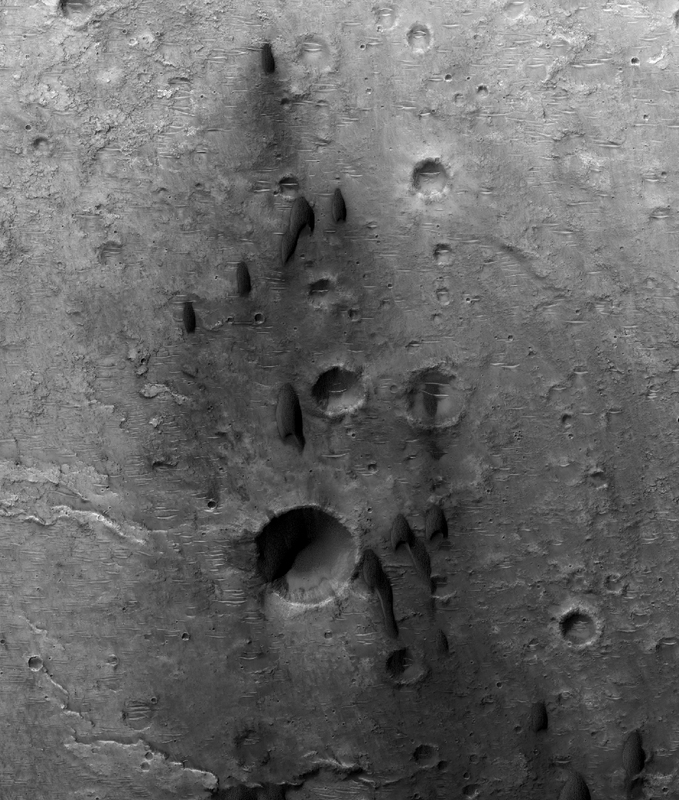 Based on the positions of the dune avalanche slopes, called "slip faces", the migration direction is toward the bottom of the image (to the south). 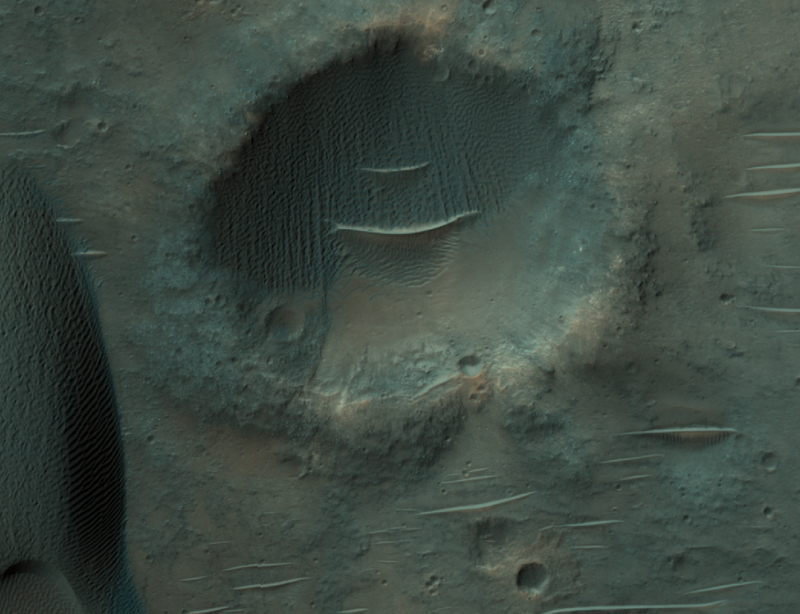 This direction relative to the local terrain indicates that the dunes here have been transported in and out of the craters on their path southward. Smaller sand patches appear anchored in the depressions where wind cannot effectively initiate sand motion, trapping sand indefinitely. 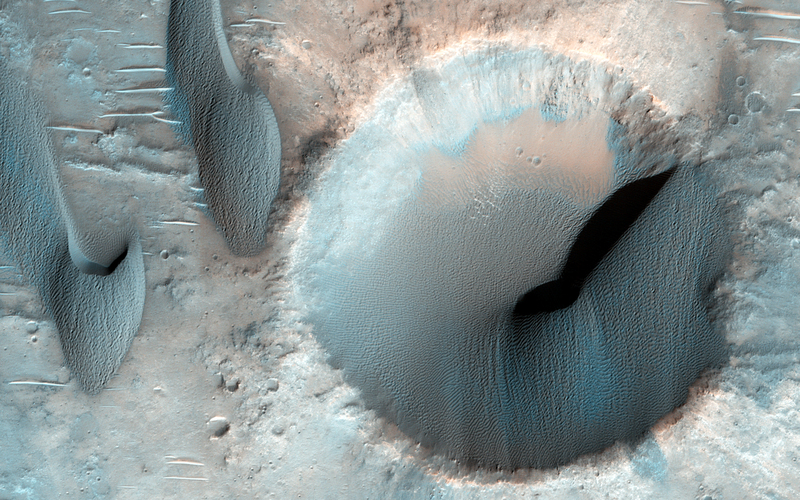 Here, HiRISE has revealed sand dunes can be both be caught and released by craters on Mars.